So... if you have noticed a trend, all my recent posts have been baby showers as all my married friends are now having babies! 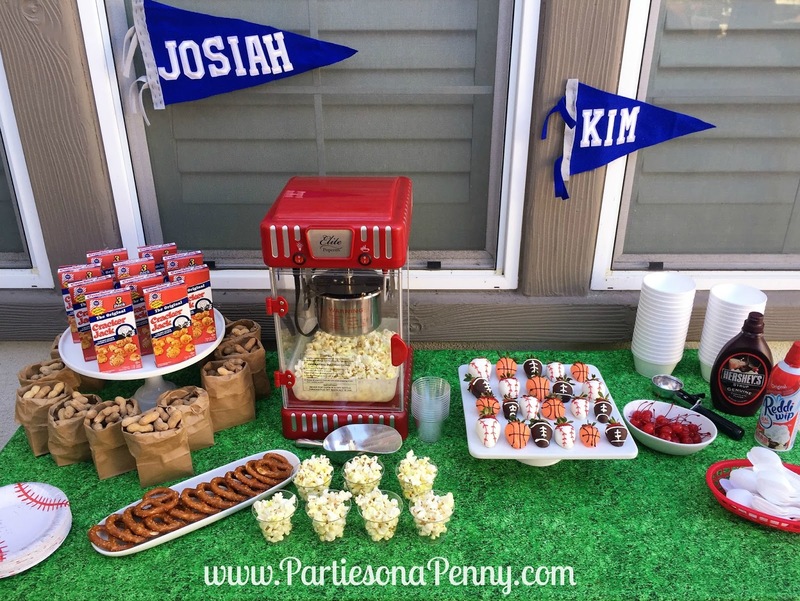 Here is a sports themed baby shower I hosted in my backyard for some close friends of mine who are expecting a baby boy. 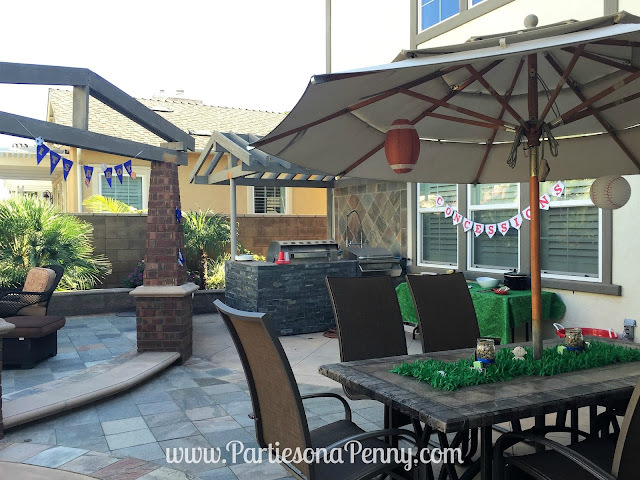 Since this shower was hosted in my backyard, decorations were spread throughout all the patio furniture. I found a great majority of the decoration supplies on Amazon. 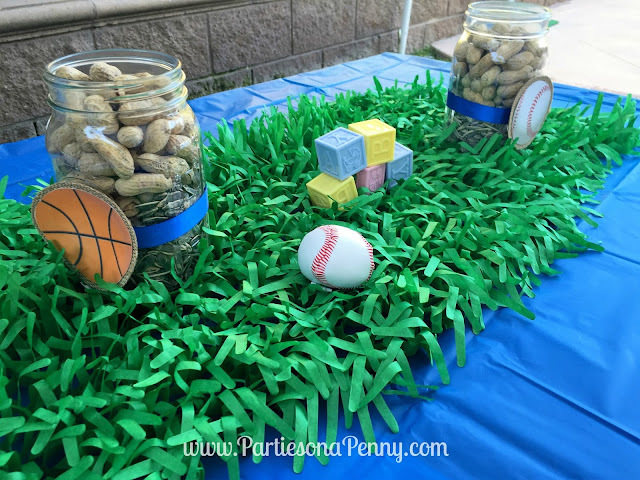 I loved these hanging sport ball lanterns that really tied the theme together. 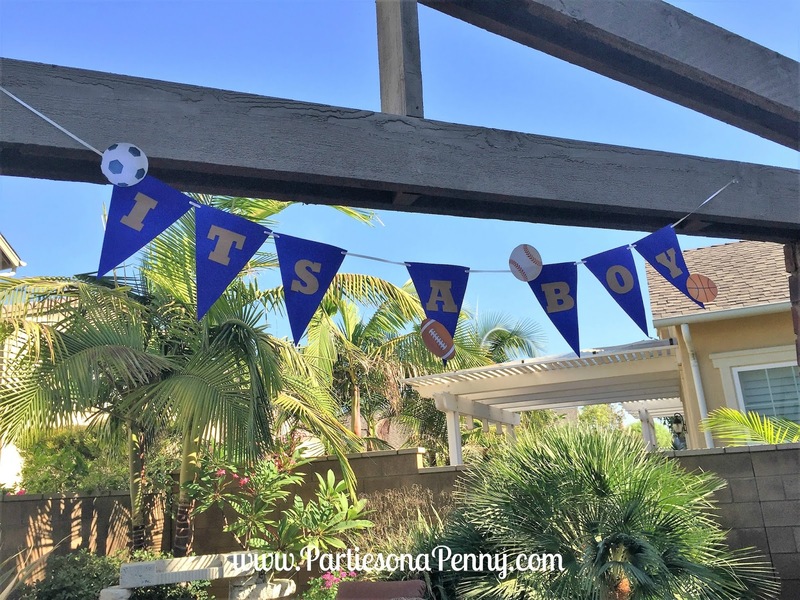 I created this "It's a Boy" banner with print outs and construction paper. 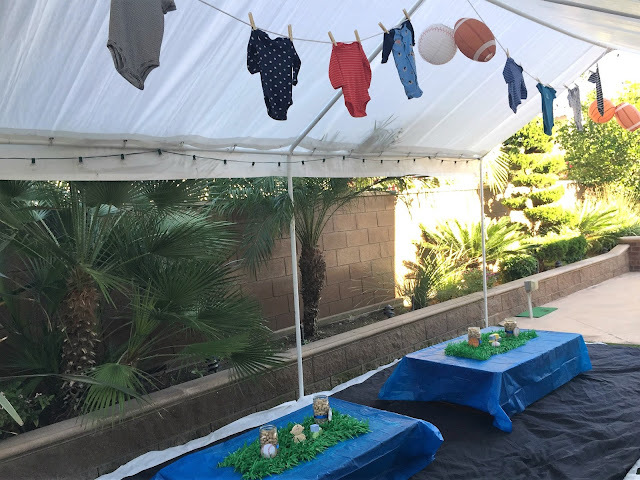 In my backyard, we have this tented area which was great for hanging baby onesies. I also set up low picnic tables for seating. 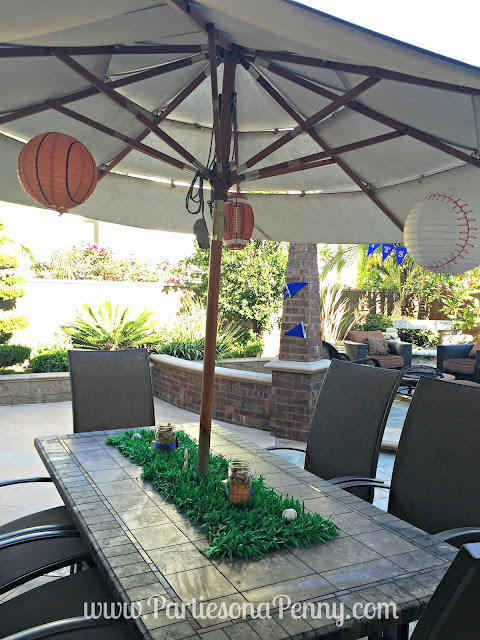 For centerpiece decor, I used these tissue paper grass mats (each pack comes with TWO mats). Mason jars were filled with sunflower seeds and peanuts. I also spread out some baby themed items on the grass. 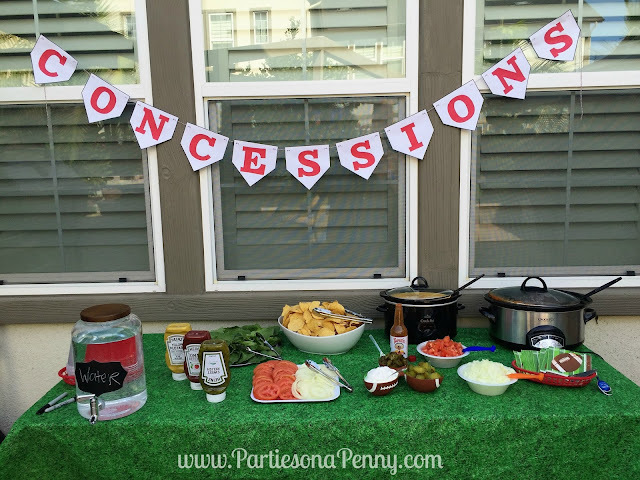 By utilizing the grill, our concessions stand served hamburgers and hot dogs with condiments as well as a build your own nachos station. Crock pots were great for serving hot nacho cheese and chilli. These plastic grass table cloths were a great addition to the sports theme. No sports themed snack bar is complete without peanuts, popcorn, Cracker Jacks and pretzels, For dessert, I made sports ball themed chocolate dipped strawberries and set up an ice cream sundae bar. I sewed felt cut outs and used iron on letters to create the custom pennant flags. I can't wait for baby Josiah's arrival so I can have another baby to love on!